Hello! How are we all? Perhaps not too sprightly, because it’s only bloomin’ February, isn’t it? I don’t know about you, but for me, February is just one month of freezing cold too many – and now we’ve got Hurricane Doris to worry about. February. I dunno. Even the vegetables have had enough by now. Now, I like carrots and cabbage as much as the next man, but when that’s all the local farmer’s market has to offer, you start running out of ideas don’t you. All I can say is, thank goodness that the fruits of social media are much hardier than British plums and raspberries – could do with a nice fresh fruit crumble right now, couldn’t you? The Facebook news feed is a contemptuous old beast – especially for marketers. We all pretty much know that unless we start paying for some Facebook Advertising, then we’re going to struggle getting our Business Page content into the news feeds of even our followers, let alone those we’ve yet to tempt with our Like buttons. 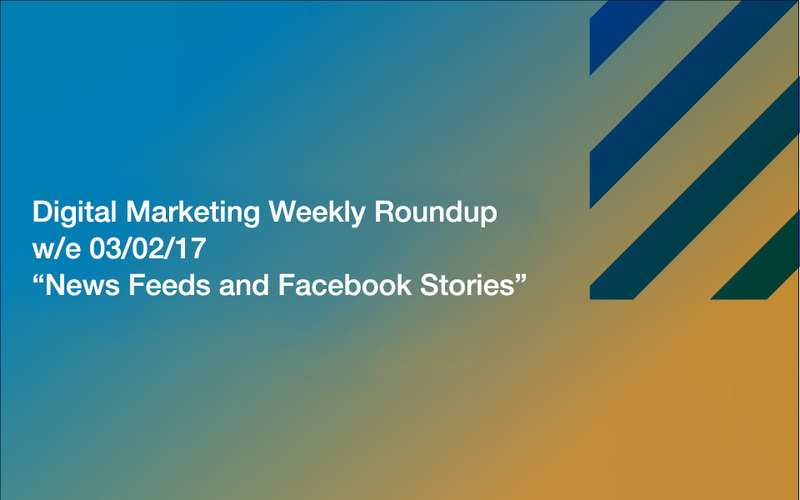 But, be that as it may, Facebook has this week announced an important update that will affect how all users are served content in their news feeds – and it concerns video. Essentially, what this means for our video marketing efforts on Facebook is that we’re going to have to work harder to keep viewers viewing for longer. And, to be honest, this is a good thing. 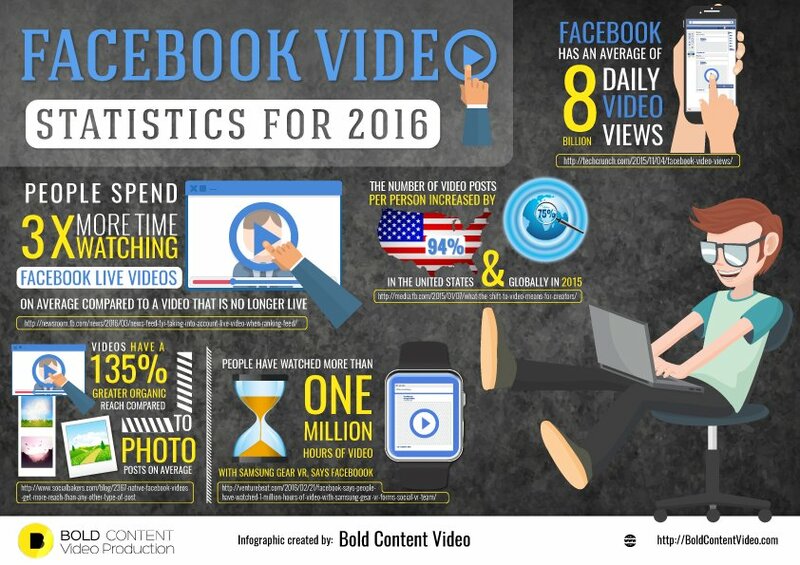 The importance of video marketing in 2017 should not be underestimated – according to the most recent stats I can find, there are an average of 8 billion video views a day on Facebook alone. That’s quite simply staggering – and clearly indicates the competition we’re all up against. So, the new Facebook news feed update is quite literally forcing us all to up our game. We need to be making videos that hook people right away, and then keep them entertained and engaged throughout the duration. In fact, since this update is based off the percentages, it might be a canny move to start making shorter videos. It will be far easier to keep people’s interest piqued over a 30 second video than it will be for anything over a minute. And even if they do jump ship after 20 seconds, then they still will have viewed 66.6% of the thing – and that’s a pretty strong percentage that may well prove to equate to a boost in rankings. We’ll have to experiment, of course, but that would be my initial suggestion. First the Facebook-owned Instagram introduced the Snapchat-influenced Stories, and now the big dog’s at it. Facebook, indeed, loves to throw its weight around like this. Following the launch of live video streaming app Periscope in 2015, Facebook soon produced an answer with Facebook Live. As soon as Instagram started to pinch a few too many Facebook users, Facebook acquired it. WhatsApp proving more popular than Facebook Messenger? No problem, we’ll snap that up, too. Such is the power of the world’s biggest social network. And so, Facebook has now introduced Facebook Stories in Ireland on iOS and Android, with more countries coming soon, according to TechCrunch. … And continue to pinch as many people away from Snapchat as possible. Just saying – that’s business, after all. So, marketers around the globe will soon have a new outlet to contend with (unless you’re in Ireland, where you have it already!). If you’re already on board with Instagram Stories (and it’s been six months, so you should be), then there’s nothing stopping you from simply transferring your existing content from one to the other – though you will have to be careful of irritating your crossover audience who will have already seen it on Instagram, of course. But, either way, we have a new marketing channel to play with on the largest social network in the world – not too shabby at all. That’s it! I’m off to reheat some cabbage soup. Thank goodness February is the shortest month! See you all next time.